The 2015 Corvette Z06 will be upon us next week, where they'll unveil it at the Detroit Auto Show and online. 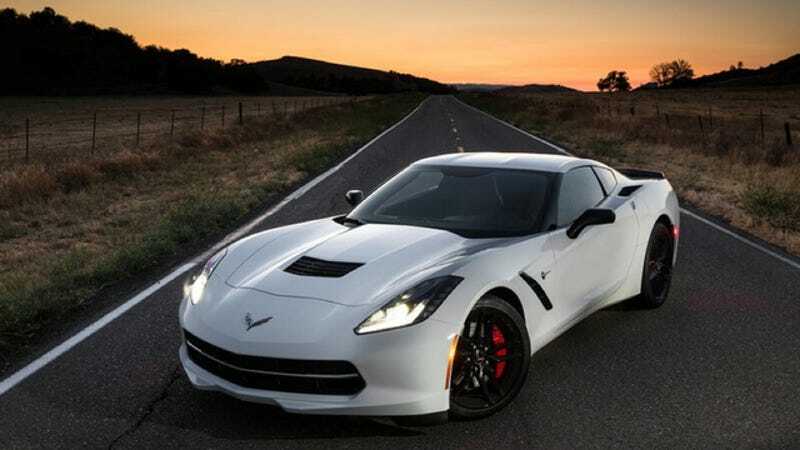 The website for the reveal is already up, and the meta data has leaked that the Z06 will have 620 horsepower and 650 pound feet of torque. Nice. As a keen reader pointed out, if you go on the Googles and search "2015 Corvette Z06 supercar reveal," the website meta data for the launch site reveals just how much power is in the newest super Corvette. Sounds good to us. That power is probably coming straight from the LT4 V8 that we saw leaked pictures of the other week. We'll see the whole Z06 on Monday. Or beforehand if it leaks. UPDATE: We let Chevy know and they are taking down the info now. So if you try and recreate the search, it might not work.